Eid al Adha Eggs – Hello Holy Days! When I was a little girl, my grandma and I would paint eggs as a fun indoor activity. We also used to love to paint rocks. 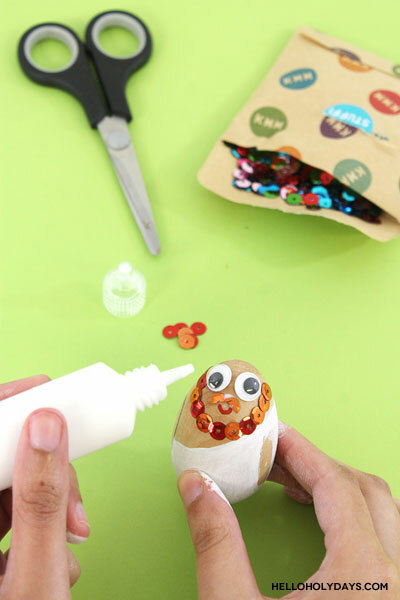 We especially loved painting eggs and rocks to look like cute little dolls for me to play with. I guess for this reason I grew up seeing painted eggs as an art form as opposed to an art form exclusively for Easter. 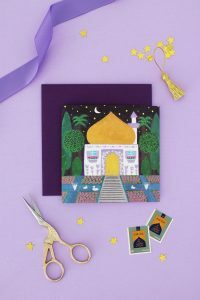 So today I’m sharing a fun craft tutorial for painted Eid al Adha eggs inspired by that special childhood memory. 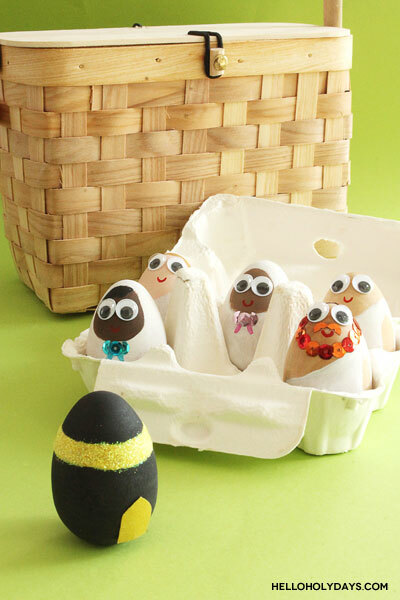 These eggs are decorated to look like little pilgrim dolls coming from all around the world to perform Hajj in Mecca! 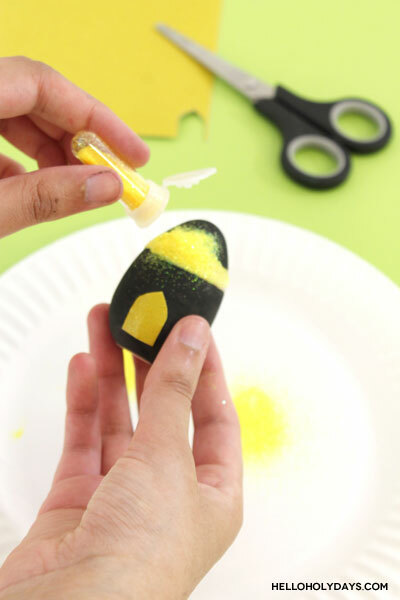 My pilgrim and Kaaba painted eggs are made with Kid Made Modern’s Egg Painting Party Craft Kit, which is the perfect product for this craft for so many reasons. 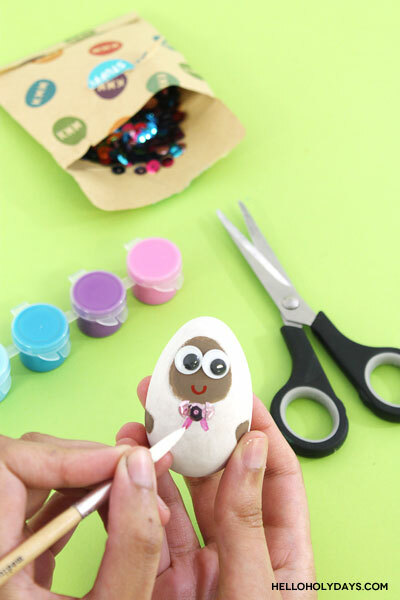 First off, Kid Made Modern’s Egg Painting Party Kit is available year round, not just around Easter time; so even with Eid al Adha falling in August this year you can easily make these adorable Eid al Adha eggs. 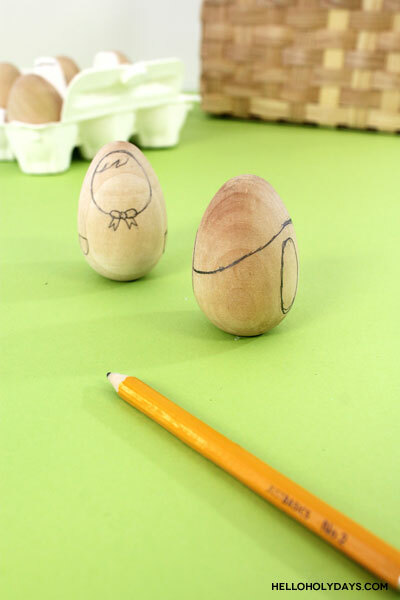 Secondly, the eggs included in the kit are wooden eggs that can stand up on their own. 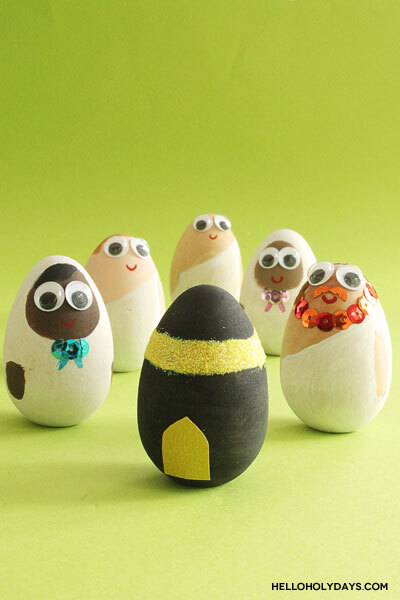 Wooden eggs are great because that means that you can reuse the decorated eggs for Eid al Adha year after year. The fact that they can stand up on their own is perfect for paint pilgirms. It allows me to set up my painted egg pilgrims/ Kaaba as a centerpiece in the home – sort of the way that a Christmas nativity is set up. It makes for lovely decor but allows kids to still touch and play with the eggs to help familiarize themselves with the one of the most important traditions of Eid al Adha: the Hajj. 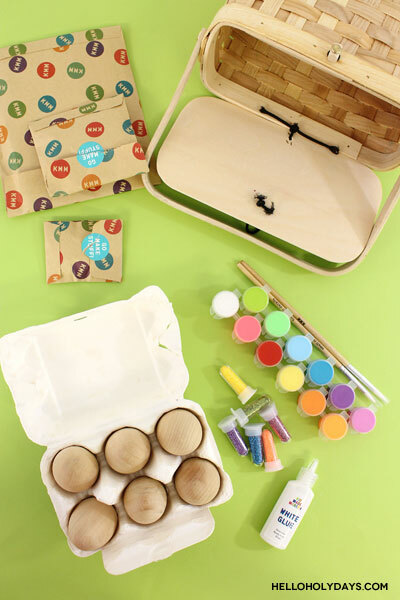 Third, I love that pretty much everything you need to decorate these Eid al Adha eggs is included in the kit already! Super convenient! Lastly, the kit itself doubles as storage for the eggs when the holiday is over. You can store the eggs back in their egg carton, plus there’s a large wicker basket to boot! If you’re on the fence about this craft because Eid al Adha eggs is too much like Easter eggs, think about it this way. Eggs are a symbol of Easter because they represent rebirth. When a pilgrim performs Hajj, it is as if they are “born again” (i.e. cleansed free of sin), hence we see the same theme of rebirth. 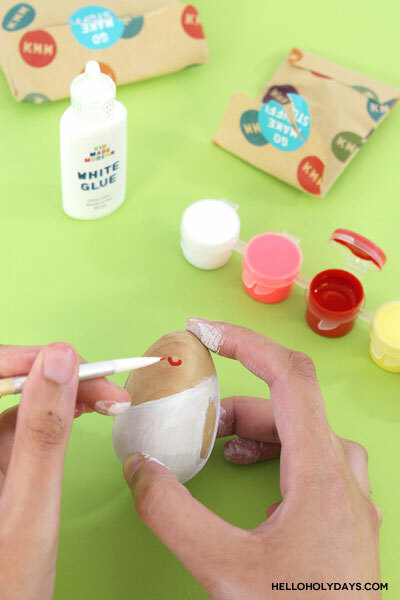 Since an egg symbolizes birth/ rebirth – these painted Eid al Adha eggs are really the perfect craft to do with your kiddos! Paint the pilgrim’s clothing with the white paint and brushes included in the kit. Paint the Kaaba with black paint. 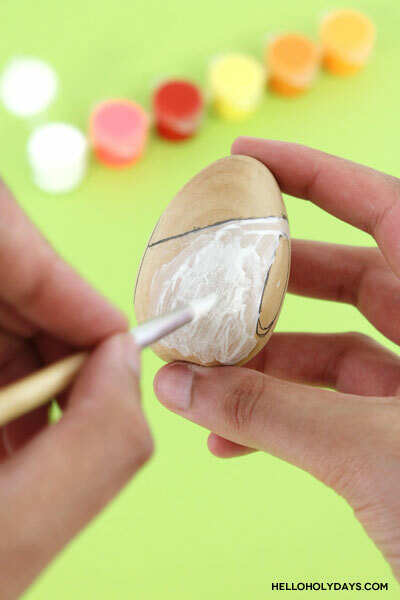 For the pilgrim’s skin color, paint the eggs in a few different skin tones as pilgrims come from all over the world! You can also choose to leave a few of the eggs their natural wooden color. Glue googly eyes onto the pilgrims using the white glue and small googly eyes included in the kit. The kit includes a fun pack of sequins. I used these to embellish the pilgrims – like adding a sequined beard/ moustache or details to a hijab. The kit also includes glitter and glitter paper that is self-adhesive. I used this to decorate the Kaaba. I made the Kaaba door from the self-adhesive paper and added a yellow glitter stripe near the top. *Special thanks to Kid Made Modern for sponsoring this post! All views and opinion are my own. Did you make this DIY of ours? We’d love to see it! Share with us on Instagram or Facebook @helloholydays and @kidmademodern. If you make this DIY and share photos of your version on your own blog, please be sure to include a link back to this page as your source of inspiration and tag @helloholydays and @kidmademodern on all social media. All Hello Holy Days! ideas are for personal use only. Please do not create projects from Hello Holy Days for commercial use.